NONA‘s debut record Through The Head is a maddeningly addictive indie-rock record that unleashes 12 earworm-ridden tracks in just under 40 minutes – and it will leave your heart pounding and your hand racing for the “repeat” button. The West Chester, Pennsylvania trio play indie-rock that seems to constantly exist at a cross-roads between any number of genres – whether it’s slacker guitar-rock, power-pop influenced punk rock, or 90s alt-rock. Opener “Now & Then” would fit right in on a mixtape next to That Dog., while the latter half of “Second Step” – with it’s emotively overdriven fuzz – would make a killer lead-in to one of Dinosaur Jr.‘s more introspective tracks. “Dead to You” might start innocently enough, but it’s ability to build from a mid-tempo chug to a ferocious chorus and shiver-inducing breakdown proves they could slug it out toe-to-toe with Superchunk‘s later output. Anchoring everything together, is Mimi Gallagher‘s twee-vocals that waver from childlike naivete to Riot grrrl-esque intensity while still maintaining oodles of sugary sweet energy. On “Give”, Mimi teases us with multiple vocal melodies that could easily hold up entire pop songs on their own, before pulling out a show-stopping chorus 1:45 into the track. Only a voice like Mimi’s could sell lines like “Somewhere / Anywhere / I don’t care, I know I’m goin’ nowhere” from “Jack Chan” and turn them into a genuinely upbeat singalong. And just in case you are ready to write off NONA as another pop-punk band, rhythm section Pat Ware and Mike Halller prove as big an asset to the band as Mimi’s voice and adept guitar playing. Pat’s drumming is technical without being showy – rolling through fills at just the right moment on the aforementioned breakdown of “Dead To You”. When the bass and drums drop out to leave Mimi’s chugging guitar riff – only to impeccably jump back in at just the right moment – it’s pop bliss that you want to air drum along to. It’s because of moments like these that I dare call Through The Head one of my favourite albums of the year. I’ve been listening to this album pretty much every day for about two or three weeks, and I have yet to grow tired of it. NONA‘s ability to spread these inconspicuous twists and turns throughout their songs have kept me coming back – and obsessing over a new track what seems like every other day. Maybe I’m getting predictable, but well-executed indie-rock albums like this have become my bread and butter lately. It certainly is a great time to be a fan of pop-punk inflenced indie, with bands like NONA lending a sense of credibility back to the oft-maligned genre. 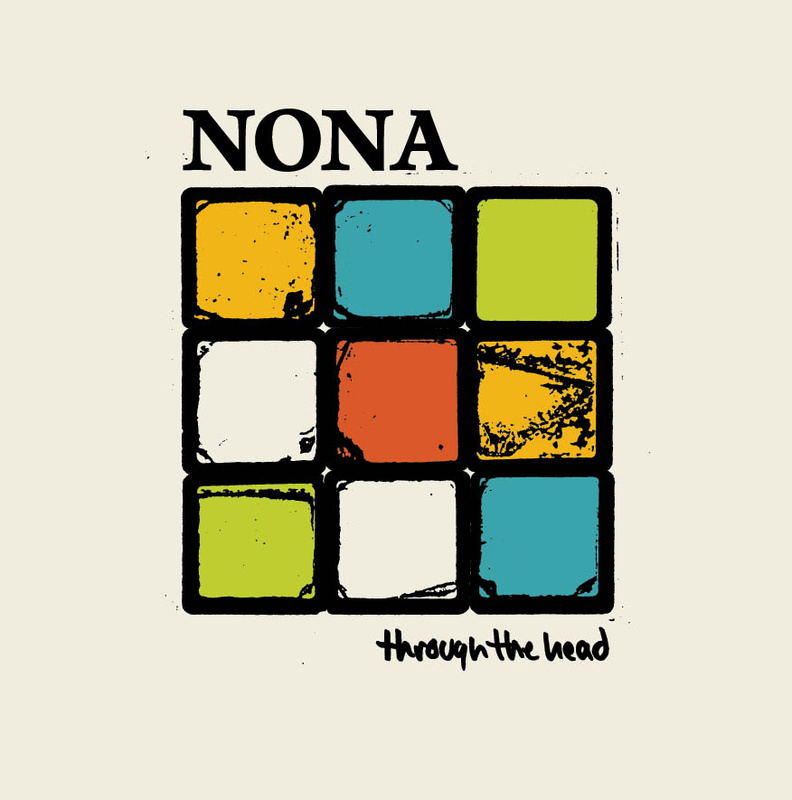 With Through the Head, NONA have crafted my first true album addiction of 2013 – and that’s no small feat, with similar albums like Sourpatch‘s Stagger & Fade and Aye Nako‘s Unleash Yourself aleady in my heavy rotation. You can purchase Through the Head directly through the band via Bandcamp.